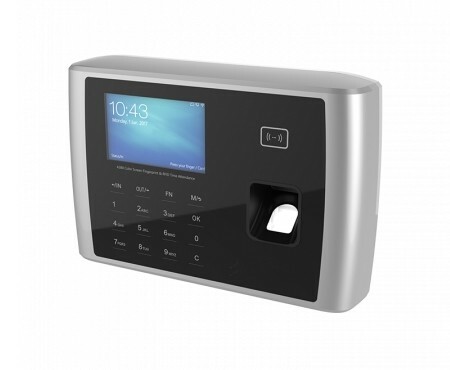 Upgrade your HR department with fingerprint recognition technology using the smart TAS-CR380 biometric / fingerprint time attendance system with optional WiFi. 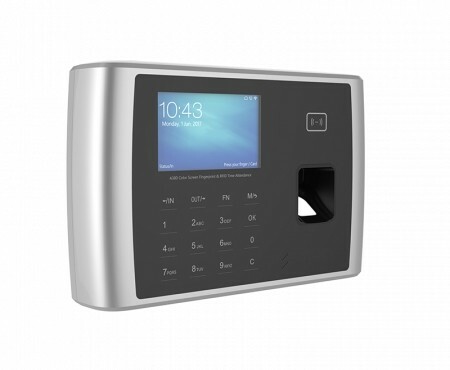 Extremely user friendly, just plug & play and the unit is ready to use. The Time Attendance software can generate a variety of statistical reports and calculate your employees work hours. 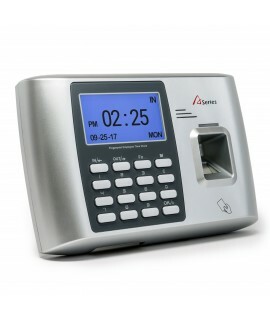 This fingerprint time clock is compatible with businesses of any size. No monthly fees or annual subscriptions! Easy to use and to setup. Can be mounted to the wall (hardware included). Transfer data via USB Cable, USB Flash Drive, wired network or optional WiFi. Technical Support & Assistance ? 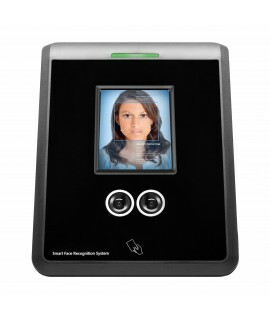 Traditional time attendance systems can easily be manipulated by employees and are not reliable enough for payroll. 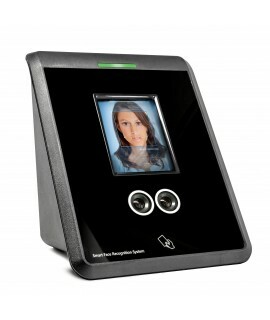 A more advanced time attendance system is the solution. 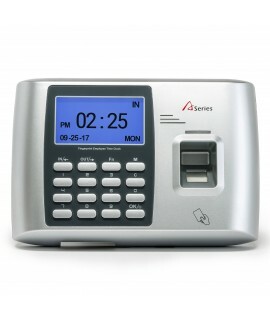 The TAS-CR380 works with the fingerprints of your employees so you know exactly who was at work, and when they clocked in and out. This unit features a fingerprint capacity of 10,000 and a log capacity of 200,000 records, so it will fit a company of any size. The high quality AFOS300 Optical sensor will recognize any fingerprint saved in the system. 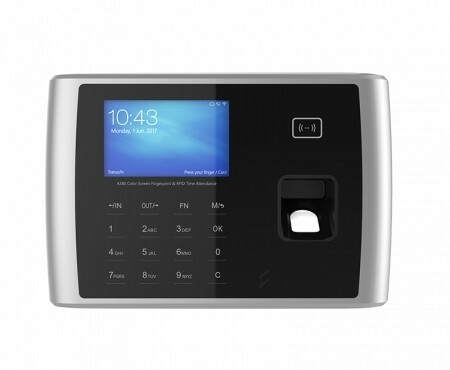 This advanced model features 4 different types of connectivity (USB, USB Host, TCP/IP or WiFi), a waterproof, dustproof and scratchproof fingerprint sensor and is designed for 24 hours continuous operation. Additionally, the software can generate and export a variety of statistical reports, including work hours per employee, which can significantly increase the efficiency of the HR department. The system comes with cables, instructions, and is ready to use. Take advantage of our outstanding value and streamline your payroll management with this industry leading time attendance system! Scan Area: 0.87" x 0.71". LCD: 3.2 TFT Color Screen. Identification Mode: FP, ID+FP, ID+PW, FP+PW. Communication Interface: USB Device,USB Host,TCP/IP, WiFi. Size: 8"W x 5.5"H x 1.5"D.
Applicable Situation: Up to 1,000 Employees. This new clock clock has saved us a lot of time. Product arrived quick and as described. Set up was easy enough. Granted we did have a few questions on the software but a technician was able to help. We should have switched from the punch clock a long time ago. The Professional Edition of our software adds some important features to facilitate your work such as the ability to manage an unlimited number of employees, set multiple software users with various levels of permissions, schedule automated data collection from the time clocks, export your hours and payment information into third party payroll providers (QuickBooks, ADP, PAYCHEX, Heartland, GMS, TotalTrack, CPI and Replicon) and more! Find out more about our software on our Time & Attendance Software page. 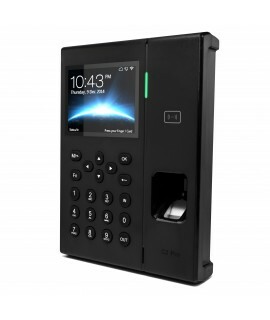 With the addition of the WiFi module, you have the option of connecting your Facepro to an existing Wireless network, and transfer the data to the software wirelessly. The Technical Support Plan is a value added service that will save you time: Upon enrollment, our team of in-house professionals will provide a product orientation, remotely connect to your computer (to help set everything up), and then provide on-going technical support to assist in any way. 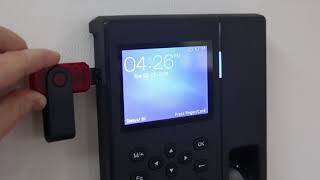 Proximity Cards are an extremely useful accessory for biometric time clocks and access control devices. 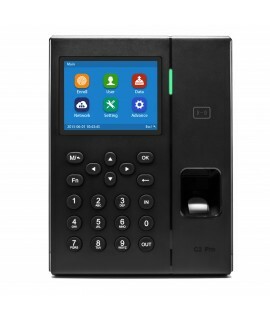 If you have a situation where employees are unable to scan their fingerprint for recognition, (such as wearing latex gloves or a bandage due to injury), then these cards are the solution. The proximity cards work in conjunction with employee biometrics, not instead of, meaning that an employee can use either their fingerprint or a proximity card for recognition. Priced right, we highly recommend this accessory as many of our customers find them an extremely useful.